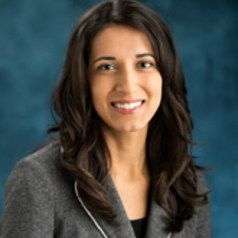 Muniba Saleem is an Assistant Professor in the Department of Communication Studies and a Faculty Associate at the Institute for Social Research. Saleem's research explores the role of media in interpersonal and intergroup conflicts. In the domain of interpersonal conflict, Dr. Saleem has explored how media violence can influence aggression and reduce prosocial behaviors . In the domain of intergroup conflict, Saleem has explored the role of media stereotypes in influencing aggressive perception and aggressive behaviors towards depicted groups. Current work in this area explores how media influences immigrants' ethnic and national identities, acculturation, trust and interest in American government, and relations with majority members. Finally, Saleem's research has explored social psychological factors that can reduce interpersonal and intergroup conflict.